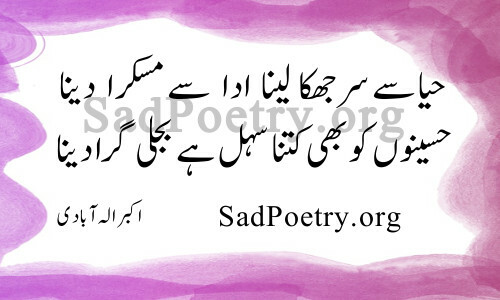 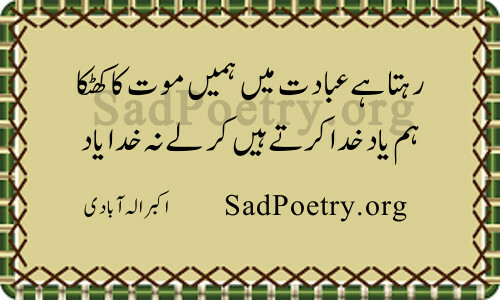 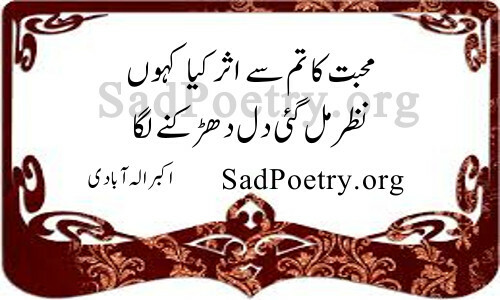 Read Akbar Allahabadi Poetry, ghazlas, nazams on SadPoetry.org Read, submit and share our great collection of shayari. 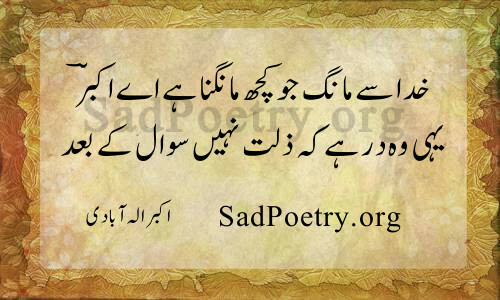 Akbar Allahabadi is one of the renowned poet of urdu poetry. 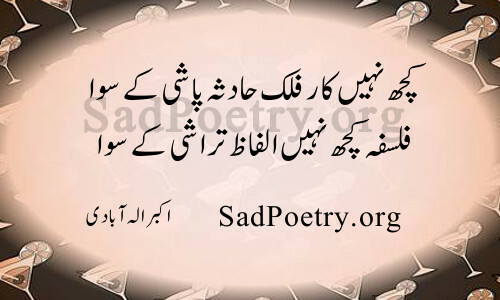 He had great command on urdu langugage and introduced humour and sarcasm in Urdu shayari. 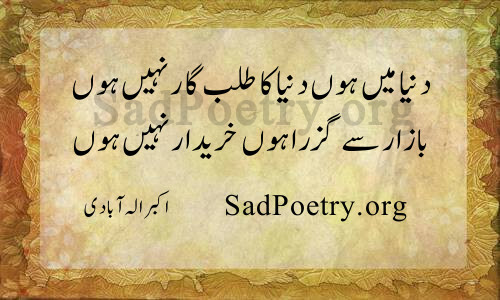 He used simple language to convey his message effectively to the masses. 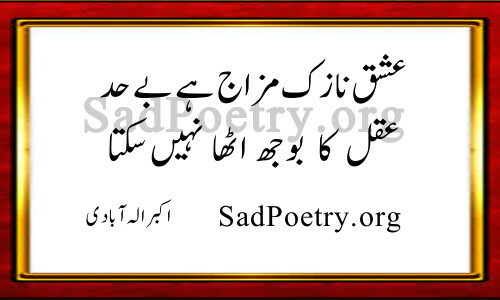 He published three kulliyats and wrote the popular ghazal “Hungama Hai Kyon Barp”. 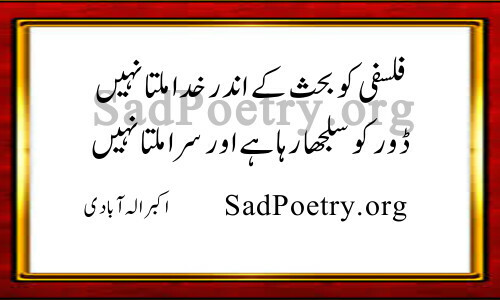 You can also submit shayari using our “submit poetry” form.